The best thing about a casserole is you can usually bung anything into it.. any extra vegetables you have lurking around just chuck it all in.. remember it’s all about “Speed” 😉 I am always struggling with Slimming World meal ideas but I do love a good casserole. When Slimming World finally released some Syn free sausages I was made up! Finally a good old Sausage casserole 😉 This recipe will serve 2 people. 1. Finely chop carrots and leek and par boil them for 4-5 minutes. 2. Slice mushrooms and finely chop onion. 3. Spray a little Frylight into a non stick pan and cook your onion in the garlic for a few minutes. Add the sausages and brown them. 4. Make up 200ml of vegetable stock. 5. 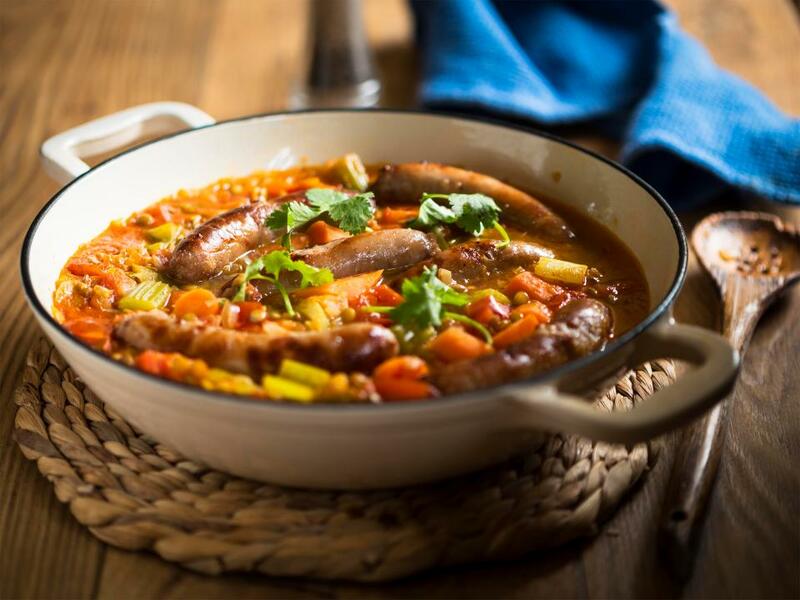 Add sausages, carrot, mushroom, leek, peas, sausages, parsley, dried mix herbs, parsley, pinch of salt and pepper, chopped tomatoes and vegetable stock into a casserole dish. 6. Cover and baked in the oven for 50-60 minutes on 180c ensuring the sausages are cooked. 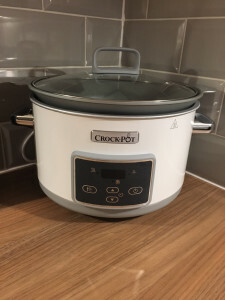 Alternatively you can use the slow cooker 3-4 hours on high or 5-6 hours on low. Ensure sausages are cooked through before serving. This can also be frozen in batches. Other great vegetables to add are sweetcorn, potatoes, sweet potato, butternut squash, celery, cauliflower, broccoli, swede.